Established in 2011, IMT Hyderabad belongs to the brand name of the previous three IMT colleges present in India. In spite of being the youngest IMT branch as of now, the college has developed its reputation for the MBA course over time. Spread across 30 acres with a built up area of more than 2 lakh sq ft, the infrastructure features hostel accommodation, library, academic block with lecture theatres, and multiple other facilities like gym, swimming pool, cricket ground, tennis and badminton courts, football ground, etc. An emerging institution in the top mba colleges in Hyderabad, Woxsen School of Business (WSB Hyderabad) has made a name for itself in Hyderabad in the last five years due to the foreign-educated faculty, great opportunities, and advanced infrastructure. The world-class campus of 200 acres looks straight out of another country with leading restaurants, sports facilities, Spa, convenience store, emergency services, campus-wide Wi-Fi connectivity, and golf courses. Accredited by NAAC and approved by the Government of India, the college chairman Dr. V.Nagadevara is the former dean of Bangalore with other academic members holding leading positions in their respective industry companies. On-campus life of hostel students includes amenities such as gaming facilities, boarding facilities, canteen food, round the clock doctor, and Wi-Fi enabled campus. 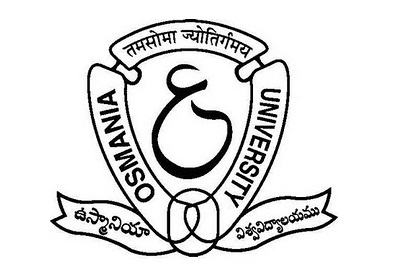 Reputed faculty with average 15 years of experience, Department of Business Management at Osmania University is one of the top MBA colleges in Hyderabad. It is best known for the co-curricular activities, seminars, workshops, guest lectures, and overall exposure. Although not so big on recreational facilities, the research centres and training facilities are one of the best available in Hyderabad including Centre for Energy Technology, Centre for Quantitative Methods and Artificial Intelligence, etc. Recruiters: TCS, Axis Bank, IDBI, T.I.M.E. One of the oldest universities in Hyderabad, the School of Management Studies offers various specializations in MBA with the option of PhD program in Management Studies and hostel accommodation for full time research scholars. The university has a fair share of green cover with facilities like Indira Gandhi Memorial Library, Instruments lab, sports facility, ATM facility, shopping Centre, food court, etc. Though there is less concrete data about the exact figures, the return of investment is arguably the best with the low course cost. Got any doubts? Let us know in the comments below!